Shenyang Shenlong Industry & Commerce Co., Ltd.. Supplier from China. View Company. Shenyang Shenlong Industry & Commerce Co., Ltd.
More Items Similiar to: Shenyang Shenlong Industry & Commerce Co., Ltd.
Refractoriness under load 0.2mpa (oc)t0.6¡¡§oo >1420 Main raw material: mullite, flint, etc. Physical index¡¨ºo Porosity¡¨ºo12.0 ¡¡ìc 16.0 % Pressure¡¨ºo45 - 90 Refractoriness under load 0.2mpa (oc)t0.6¡¨ºo >1420 Main raw material: mullite, flint, etc. 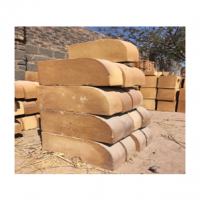 We offer very high quality of Thermal Insulating Bricks, which are a perfect blend of porosity and brilliant insulating values. Besides this the Thermal Insulating Bricks we make, have a very high level of mechanical strength and low heat storage capability. 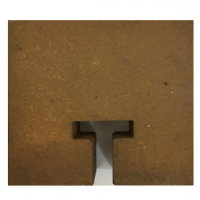 We provide superior quality Heating Element Bricks that are used in all types of electric furnaces and boilers. 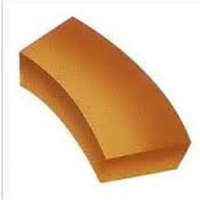 The Heating Element Bricks offer good resistance to the high temperature with excellent control. 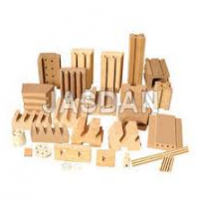 We also supply these Heating Element Bricks to the customers as per their desired quantity at affordable price. We can custom design as per your requirement. 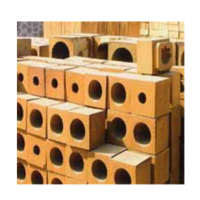 Being a client centric firm, we are occupied in offering a wide range of Refractories Burner Block. 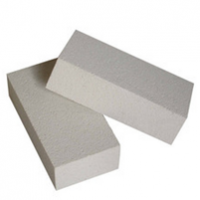 Extensively used in burners, these blocks are well known in the market due to their high strength & fine finish. 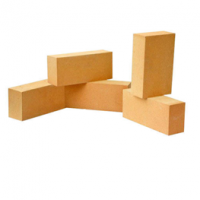 These blocks are available in various specifications like shapes, thickness and dimensions as per the requirements of clients. We have reasonably priced these block without compromising with the quality. Size Available. (In Inch) 9X9, 12X12, 14X14, 16X16, 18X18. Being a top most firm, we offer Cupola Bricks to our clients. These are made by using very high quality ceramic raw material which ensures high durability at its user end. Our quality experts check the quality of the product before delivering it to our clients. Product is highly reliable which makes it worth demanding. Our supervisors make sure that the product delivered is perfectly performing well and is quality based. Available Size (in Inch/Diameter) 12D, 18D ,21D, 24D, 27D, 30D, 33D. We are renowned manufacturers and suppliers of Refractory Killen Furniture, which are specifically designed and processed to meet exact requirements of the clients. Our team of professionals makes use latest technology and high grade raw material to produce these T- bricks. This range of bricks is considered as the most reliable construction material. Available Size (In Inch) 9X6X3, 9X9X3. Our Company specializes in supplying finest quality Refractory Half round, broadly used in foundry, boilers, furnace, and many more place. This Half round is carefully processed by our deft professionals using well tested basic material. In order to provide best in class product this Half round is strictly checked on several parameters by our quality expert. Available Size. (In Inch) 14X9X6, 16X9X6, 18X9X6, 21X9X6, 24X9X6.